Maurice enlisted on the 8th September 1915 in the 4th (H) Bn York and Lancaster Regiment. On enlistment Maurice was 32 years and 11 months and gives his occupation as a Gardener. He is living at 126 Hangingwater Road, Sheffield. On the 9th December 1915 Maurice was transferred to the Army Reserve and was eventually mobilized on the 20th March 1916. His regimental number was 202754. Buried in Plot 1, Row A, Grave 25. 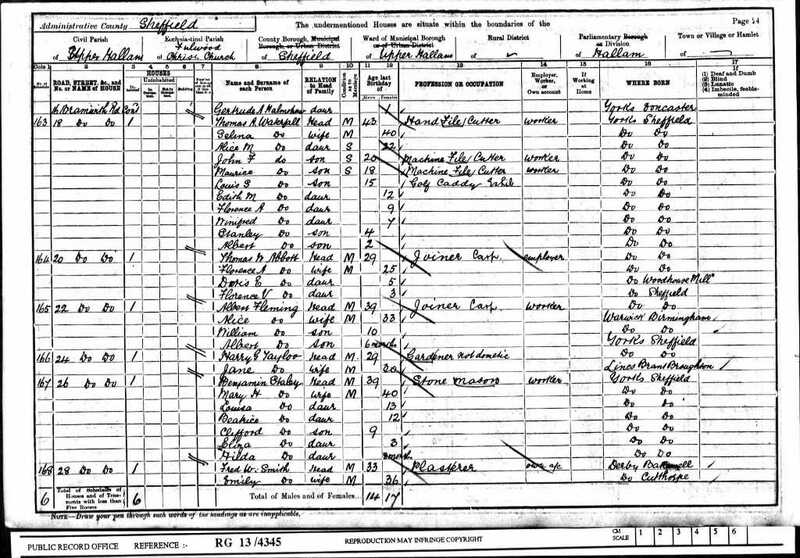 [S3] Birth Indexes, Compiler: General Register Office, March 1883 Ecclesall B 9c 342 (Reliability: 2). 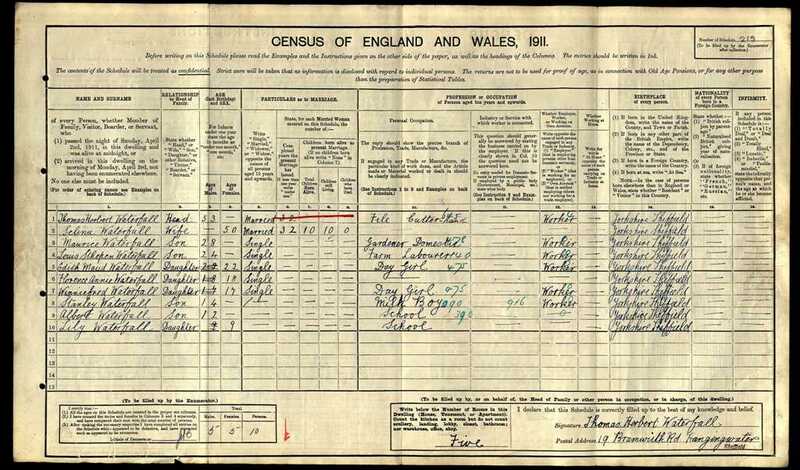 [S10] 1891 England Census, (Ancestry.com), RG12., RG12/3800 Folio: 54 Page: 28 (Reliability: 2). 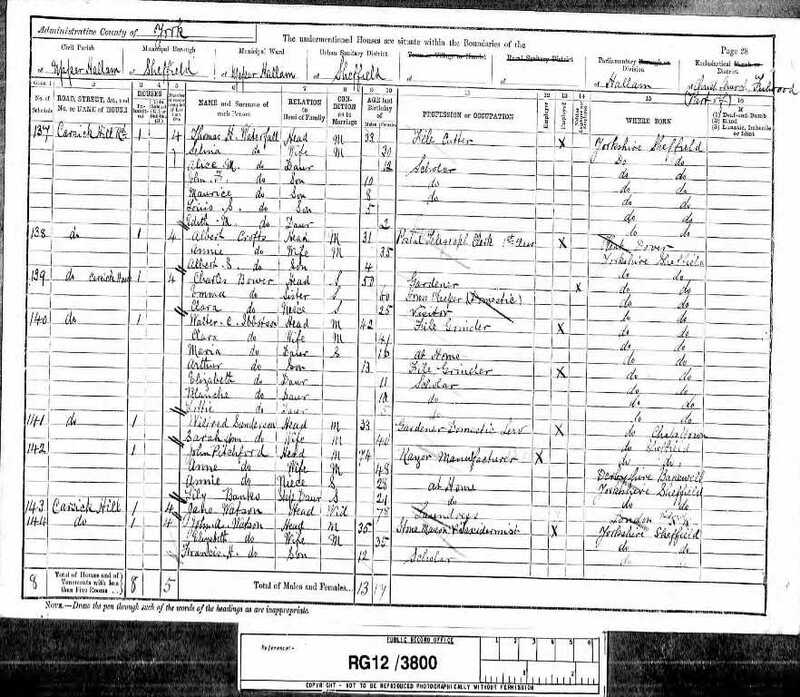 [S39] WW1 Service Records, (Ancestry.com), WO363., Maurice Waterfall (Reliability: 2). [S40] CWGC Headstone Schedules, (www.CWGC.org) (Reliability: 3). Plot 1, Row A, Grave 25.